Wondering why some skiers are wearing a red, blue or purple cloth bib? 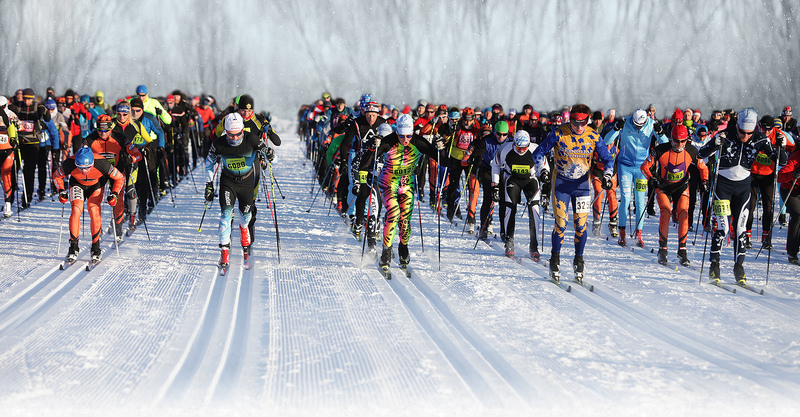 Blue Bibs are participants who have skied at least 20 years in the 55 km distance. Purple Bibs are participants who have skied at least 10 years in the 55 km distance.